Jordan Brand made their name with their impressive collections of superb basketball shoe but the Michael Jordan shoe brand also made waves with their attractive off-court or casual shoes. 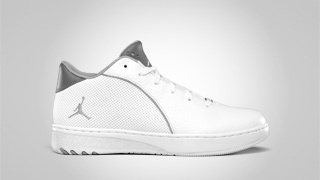 And this month, they are set to make noise once again with the release of a new colourway of the Jordan Phase 23 SC, which will come out in White/Wolf Grey colourway. Just like the earlier releases of this shoe, the Jordan Phase 23 SC boasts its eye-catching casual and off-court design that looks so good with anything. Can’t get enough of it? So check this out and it will be released anytime this month!